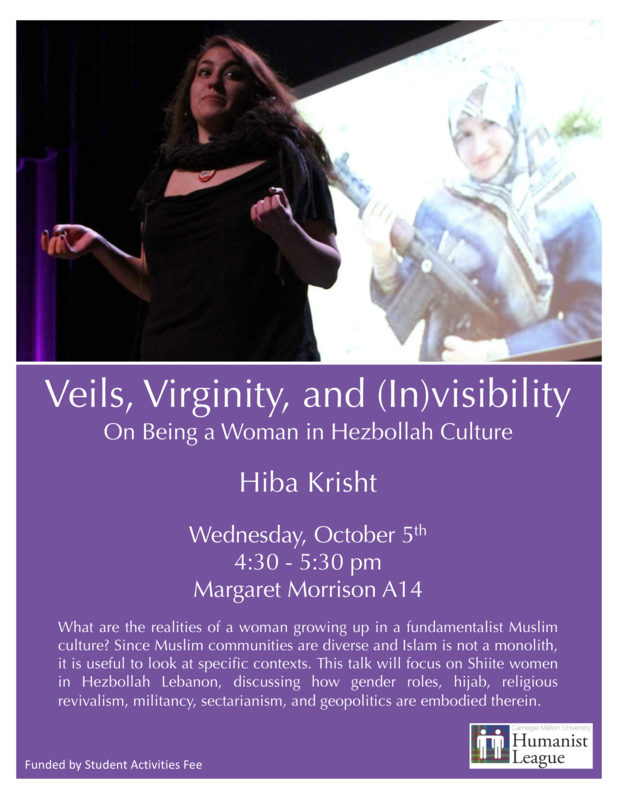 On Wednesday, October 5th from 4:30-5:30pm in Margaret Morrison A14, the Humanist League will be hosting Hiba Krisht, who will be speaking about the realities of a woman growing up in a fundamentalist Muslim culture. Since Muslim communities are diverse and Islam is not a monolith, it is useful to look at specific contexts. This talk will focus on Shiite women in Hezbollah Lebanon, discussing how gender roles, hijab, religious revivalism, militancy, sectarianism, and geopolitics are embodied therein.